Absolute Construction is proud to offer decorative concrete options. Concrete is an environmentally sustainable construction material that doesn’t require sacrificing aesthetics. 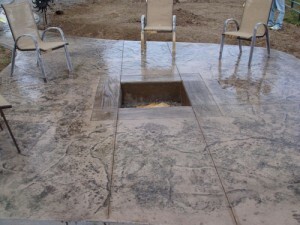 And it is ideal for patios, interior floors, walls, and driveways. Concrete floors offer the additional benefit of saving money because they do not require carpeting or tiles that may eventually need to be replaced, saving even more money. As a reputable Ogden concrete repair service provider, Absolute Construction will provide property owners with great results every time. They will find that prior to making their decision on which method to use, the contractor that they work with will provide them with all of the information necessary to make the most beneficial choice for heir your repair needs. These property owners will soon be experiencing the dramatic results that this company is known to offer all of their customers. “Chad and Clark were absolutely wonderful to work with. From the bid appointment to the finished project, my experience with their company was outstanding. “I made the stupid mistake of listening to a neighbor and allowing them to try and do the work… Long story short, Clark and the Absolute Construction company rescued me. “Contacted Absolute Construction to get estimate for cement work. Clark was there the day promised, on time, etc. and finished the work 2 weeks earlier than promised. When looking for ideas to increase the visual appeal around their home or business properties, people will find that a reputable concrete contractor in Ogden can provide beneficial results. These contractors can provide ideas for creating patios or garden areas that are beautifully designed using decorative concrete patterns. They are also able to provide ideal concrete flatwork that is finished in amazingly clean textures that will created a more complete look to the home and commercial property. With thousands of companies and individual entities that offer concrete services throughout the Ogden, UT area it is not always easy to choose a contractor. In fact, some of the concrete service providers are simply individual handymen that are looking to supplement their income. While this may seem great on the person’s budget, the truth is that without proper training and experience in this field the property owner may actually be left with a costly mess on their hands. Absolute Construction has proven results for their work in the concrete service industry. 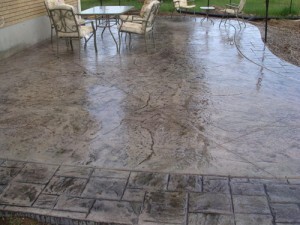 They have built a solid reputation through the area by providing their customers with expert results when completing both decorative concrete and concrete flatwork services both on the interior and exterior of homes and commercial business properties. Home and business owners will have the opportunity to be a part of the entire process when working with this reputable company. 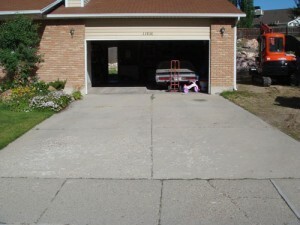 From selecting the exact style of concrete work that they want installed to the final inspection process, these property owners will experience a one of a kind sense of pride that can only be obtained with working with an honest and reliable concrete contractor in Ogden. Home and business property owners that want fresh and unique looks in areas such as garages, basements, patios, garden areas, showroom floors or other areas around their building do not have to look far. Absolute Construction can design and install both decorative concrete and concrete flatwork services that can resemble works of art. 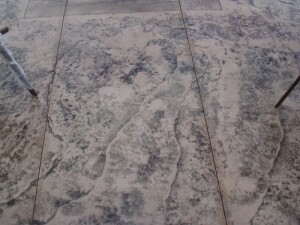 When finished these surface areas are comparable in beauty to granite, slate, marble and other elegant stone varieties. Along with exquisite looking surface areas, the property owner will receive addition benefits including increased values for their property, cleaner and more comfortable atmospheres on both the interior and exterior of the building and concrete work that will provide years of service for their specific needs.